When we are walking, the ball of our foot helps us gain speed into our next step. When you suffer from metatarsalgia, the medical term for pain in the ball of your foot, it can sideline you from your normal activities. This pain can halt your daily life and your fitness regimen. Metatarsalgia has many causes, resulting in sharp pains in the ball of your foot and some numbness in your toes. For some, strenuous activity, such as running, speed-walking, jumping, and sprinting, can result in this condition. In other cases, wearing a pair of poorly-fitted shoes can be the culprit. Luckily, there are specifically designed running shoes for those who are experiencing metatarsalgia. Several athletic footwear manufacturers develop their products with this in mind, and their models are among the best-selling running shoes on the market. Most running shoes have support in the insoles, but if you have pain in the ball of your foot, you need extra reinforcement to absorb the impact of your activity. 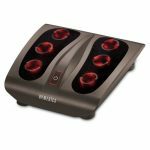 The extra cushioning, often in the form of gel or foam insoles, relieves the pressure off of the ball of your foot, allowing you to resume your physical activity with less pain. Check out our picks from the top-rated running shoes for ball of foot pain. 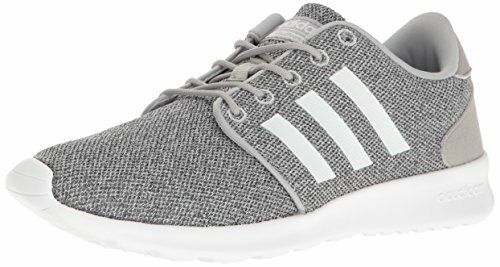 1 What Should I Look for in Running Shoes for My Ball of Foot Pain? 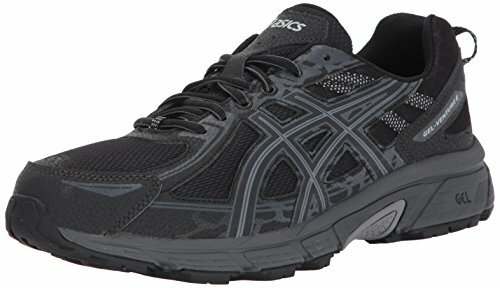 What Should I Look for in Running Shoes for My Ball of Foot Pain? Size Always make sure your shoe fits well. Having your feet measured is the best way to know your correct size. Also, keep in mind that some manufacturers run narrow or wide. Insoles Finding a model with removable inserts is ideal because you can replace them with your preferred insole or orthotic insert. Foam insoles provide more support on the pressure points of the foot. Heel Having shock-absorbent heels will prevent extra pressure on the balls of your feet while running. New Balance is a popular, trusted name in athletic footwear that has innovated comfort and style in their running shoes. 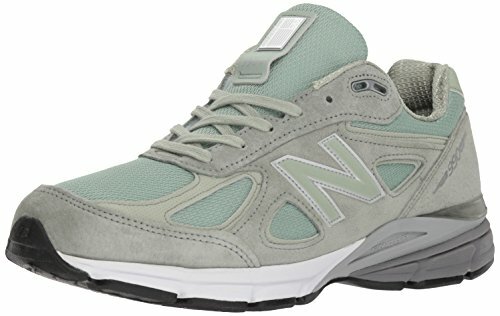 The New Balance 990V4 comes with its ENCAP technology creates a durable and supportive cushion under your feet with a combination of soft and flexible EVA foam rubber and durable polyurethane. The extra cushion of the midsole is designed to place additional support under the ball of your foot to reduce the pressure on the sensitive parts of your feet. Unfortunately, the extra padding makes the shoe heavier than its predecessor. Those who prefer a lighter running shoe would be better to find another model, but it is still our pick for the best men’s running shoe for ball of foot pain. 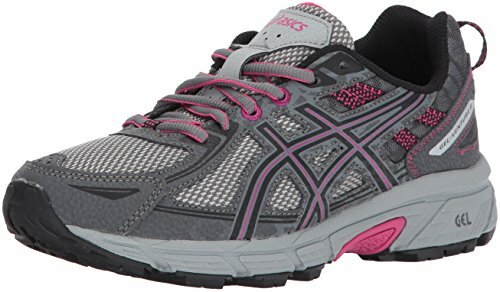 The ASICS Women’s Gel-Venture 6, much like its men’s design, provides ample support for active women who suffer from foot pain. The entire midsole acts as a shock absorber, so there is less impact on the balls of your feet while in motion. ASICS has perfected the art of creating an insole that cushions the parts of the foot that take the most abuse from running and other activities. The Rearfoot GEL Cushioning System diffuses the impact at the beginning of the running stride, relieving pressure on the ball of your foot during the transition. Its high-abrasion rubber outsole can handle any environment, and the sock liner removes for orthotic inserts. The ASICS Women’s Gel-Venture 6 may seem like a bargain, but some buyers who require more stable ankle support may want to look for another shoe. Founded on the philosophy that physical health is just as important as mental health, ASICS creates athletic footwear that is comfortable and durable, encouraging people to remain active. With this in mind, the company has engineered their shoes to accommodate a variety of foot conditions. With a shock-absorbent midsole, the ASICS Men’s Gel-Venture 6 also has a Rearfoot GEL Cushioning system that diffuses the impact when your heel hits the ground, which will alleviate the pressure on the ball of your foot. It also has a removable sock liner for those who use medical orthotics. 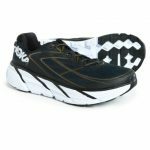 ONEMIX is a relatively unknown Asian company, but the design of their ONEMIX Men’s Lightweight Air Cushion Sport Running Shoes make them worth checking out. Made of synthetic materials that create a breathable shoe, the ONEMIX has a sturdy rubber outsole: although its design makes it perfect for flat surfaces, the sole isn’t durable enough for rough terrain. The insole has 360 air cushions for the best support for the bottom of your feet. With localized shock absorbers, the outsole and midsole work together to prevent extra pressure under the ball of the foot. Although they provide ample support ideal for foot pain, there is a breaking-in period to adjust to the air insoles. Saucony has become a trusted manufacturer of athletic shoes by studying the health and activities of athletes to create the perfect shoe for any movement. 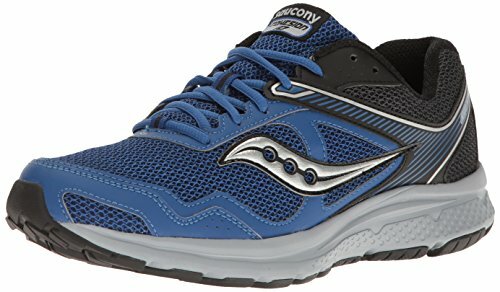 The Saucony Men’s Cohesion 10 Running Shoe has cushioned support for those with pain in the ball of their foot or their heels. Its EVA rubber foam insoles absorb impact while having a comfortable feel. The mesh upper add breathability during heavy activity, and the insoles remove so that you can replace them with your custom orthotics. Brooks is a well-respected athletic company that has been designing quality running footwear for years. 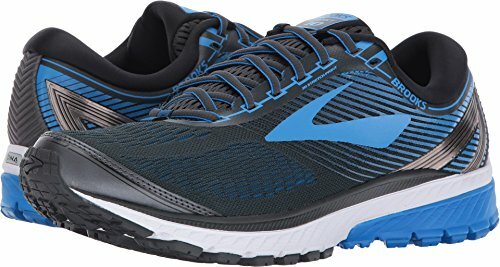 The Brooks Men’s Ghost 10 Running Shoe has a shock-absorbent sole that reduces pressure on the ball of the foot. The real winner of the Brooks Ghost is the DNA midsole, which responds to the weight placed on it, bouncing back to give you more support while you are running. While it is a quality running shoe, its high price tag may dissuade some buyers. The Saucony Cohesion 10 made our list twice because of its excellent support and durability. The removable EVA insole relieves pressure off of the ball of the foot while in stride. There is also extra comfort in the soft tongue and collar of the Saucony Women’s Cohesion 10 Running Shoe for more support during activity. Made for those who need a shoe for running and other exercise (like those mandatory trips to the gym), the breathable mesh upper reduces sweating, making your workout more comfortable. However, the traction isn’t suited for variable terrains. In comparison to other running shoes, it has a moderate price tag, which can make some buyers hesitate. 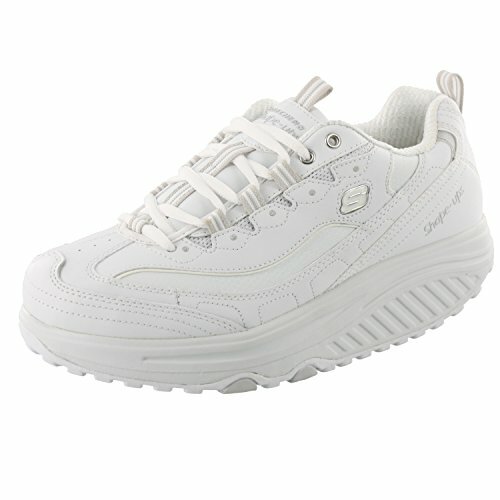 Sketchers is a recognizable footwear company, just not for their athletic shoes. 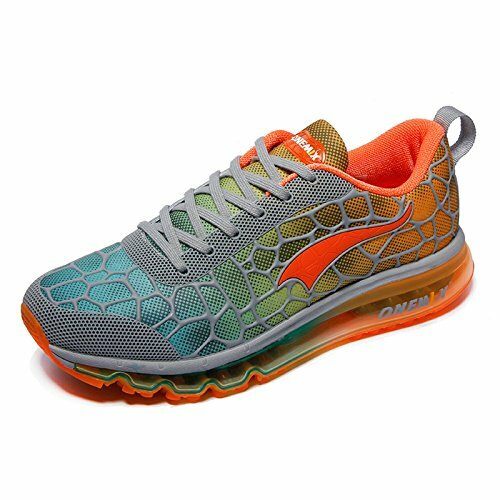 The Sketchers Women’s Shape Ups Metabolize Fitness Work Out Sneaker is the exception to the rule, for the company has created a comfortable work-out shoe for women. 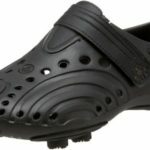 Designed for all kinds of activity, the outsole has a gentle curve, encouraging your natural stride, relieving pressure off of the high-impact pressure points of the foot, especially the ball of the foot. The leather upper makes the shoe more durable than other running shoes with mesh uppers, but that also means it is not as breathable. However, generous padding around the ankle and the tongue of the shoe makes it comfortable to wear on a daily basis, not just for running. The foam midsole gives cushioned support for your entire foot, but some find that the shoe is bulky. Having been in the athletic footwear business for over one hundred years, Brooks understands the importance of creating athletic wear for women. 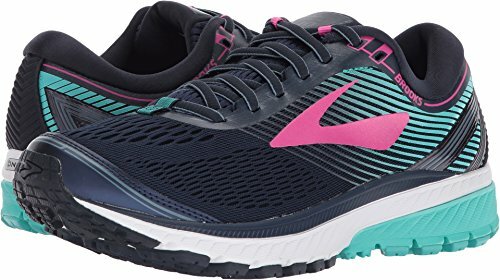 The Brooks Women’s Ghost 10 Running Shoe has all of the benefits of its male counterpart, and women who wear them claim that they feel like they are walking on clouds. With extra cushion under the heel and the ball of the foot, shock absorbers relieve the pressure on these areas during running and other high-impact activity. The foam midsole bounces back to pressure, giving the heel and the ball of the foot even more support. 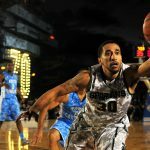 When you think of an athletic company, one of the first manufacturers that comes to your mind is Adidas. Growing into a global company that partners with other athletic companies and top designers, Adidas makes fashionable and comfortable running shoes for any consumer. The Adidas Women Cloudfoam QT Racer Running Shoe is a low-top running shoe with a memory foam insole that conforms to your foot, giving you the support you need where you need it. There is also memory foam in the midsole and the outsole, making every step less painful. Their inexpensive price tag attracts some buyers, but the lack of toe protection isn’t ideal for a running shoe. When you suffer from foot pain, it can put your life on hold. Finding the proper running shoe is the most important element of decreasing your pain without ruining your lifestyle. While this has been a review of the top-rated running shoes for foot pain, several additional models provide the same support. When shopping for a running shoe, it is essential that it is comfortable for you while having the extra cushion in the ball of the foot that you require. Having pain in the ball of your foot doesn’t have to sideline your life if you have the right shoe.